The Age Pension is paid by the Government to older Australians who meet tests for residency, age, income and assets. The aim is to ensure older Australians can meet basic lifestyle expenses. It is arguable as to whether the amount paid is adequate to cover basic lifestyle costs. What a basic lifestyle means to one person can vary from another, and even the same lifestyle can cost different amounts depending on where one lives. As a general rule, to qualify for the Age Pension you need to be living in Australia with over ten years of residency. Some exceptions apply. Men qualify from age 65 while women qualify from age 64.5, but this is increasing to age 65. Over time the age for both men and women is set to increase to 67. Below are some of the main points that relate to the Age Pension. This is a complicated field and we strongly encourage you seek personal advice to assess your personal circumstances. The first step is that you need to meet residency and age requirements to be eligible for the Age Pension. If these requirements are satisfied, you will then be required to satisfy income and assets tests to determine how much you may receive. meet the 10 year qualifying Australian resident test, which basically means you have lived in Australia for a continuous 10 year period, or separate periods totalling at least 10 years, with at least one period of 5 years or more. There are some exceptions to this rule, including but not limited to, where formal reciprocal agreements exist with other countries or refugee status applies. The qualifying age was set at 65 for men. For women it was originally age 60, but this has been gradually increasing to 65 (based on date of birth) and is currently set at 64.5. However due to budget pressures and increasing life expectancies the Government will increase the age to 67 for both men and women. It will take a few years for this increased age to phase in as shown in the table below. How much income you can earn before the Age Pension is reduced depends on your family situation as shown in the table below. These figures are indicative only. How income is assessed and what is included can be complicated. Please seek personal advice and assessment. Please note: The pension rates include the Pension Supplement of $60.60 for a single person and $96.40 for couples combined. Income test example: A single person who earns $1,000 per fortnight is over the $152 per fortnight lower threshold. The pension payment reduces at the rate of 50 cents for each dollar above the threshold. Therefore the reduction would be $424 per fortnight (50cents X 848). In a similar way that the income test works, the Age Pension is scaled down as your asset position increases. This test depends on your family situation and whether you own your own home. The rate at which the Age Pension is scaled down is $1.50 per fortnight (single person or couple combined) for each $1,000 above the lower threshold. Asset test example: A married couple who owns their own home with assessable assets of $373,000 would be $100,000 over the lower threshold. The pension payment reduces at the rate of $1.50 for each $1,000 above the threshold. Therefore the combined reduction would be $150 per fortnight ($1.50 X 100). When determining the rate of pension payable, both the income and assets tests are applied. The test which yields the lowest payment is the one that is used. Both tests are reviewed on a regular basis. Transitional rules may apply to some people who received pensions before 20 September 2009. These rules include different pension rates and thresholds. If one partner is at Age Pension age and the other partner is under Age Pension age, the maximum entitlement for the eligible partner is generally half of the couple’s rate. Caution is needed before giving away assets in an attempt to meet the assets test. You can gift assets with a value up to $10,000 in a single year or $30,000 over five consecutive years without penalty. Gifts beyond these values are counted as assessable assets and income for a five year period following the time of gifting. There are ways to maximise your entitlements, such as using superannuation income streams and funeral bonds. There are hardship provisions available if you are experiencing severe financial hardship but are not eligible for benefits under standard rules. The rates and thresholds change regularly, as will your asset and income position. You need to let the Department of Human Services know when any of your circumstances change within 14 days of the change. As you can see, there is a fair bit involved in understanding Age Pension Benefits available to Australians. 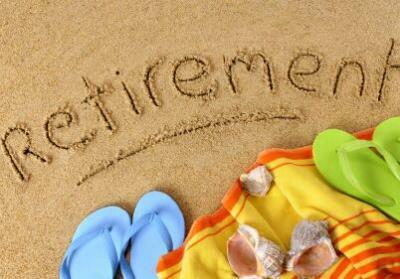 It is an important aspect to understand as it can help to maximise the longevity of your capital in retirement. “An increase in the Age Pension Age was proposed/announced in the 2014 Federal Budget. This increase would see Australian’s born after 1 January 1966 being required to turn age 70 before being entitled to the Age Pension”.